Young Design Engineer of the Year and MET alumnus Christopher Bellamy is using his innovative design skills to forge an exciting and diverse global career. 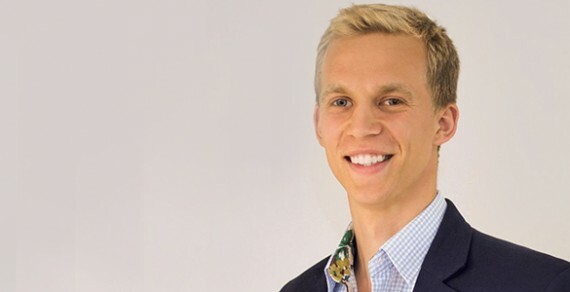 Since being named Young Design Engineer of the Year at the 2016 British Engineering Excellence Awards, Chris has moved from his role as lead engineer at Jaguar Land Rover, where he pioneered a human-centric design process and was involved in advanced vehicle development and vehicle sustainability, to climbing mountains and exploring the world while working remotely as an engineering consultant. He is now to now working with a team that is developing the world's-first customised sandals using 3D printing technology. You can read more about Chris' adventures and his work as Senior Product and Manufacturing Engineer at Wiivv in an article on the RS Online website.